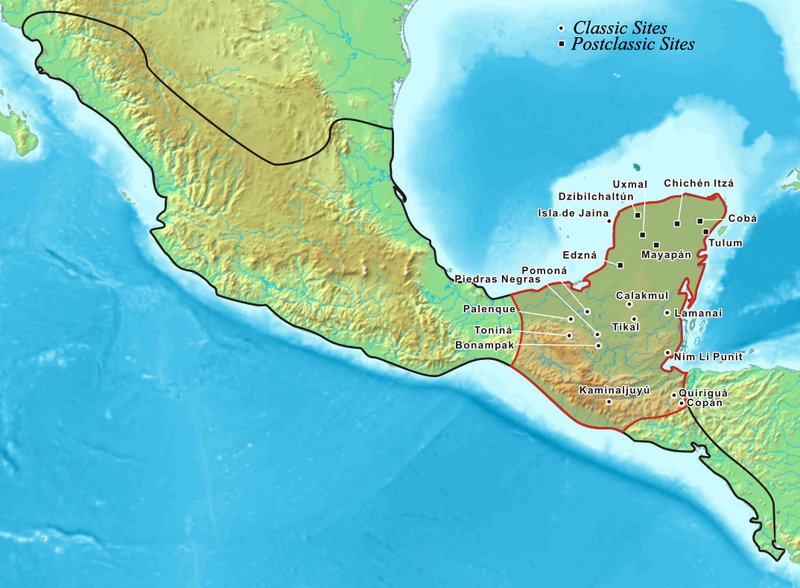 A large Mayan site, influential both culturally and politically from the Late Classic through to the Early Postclassic period. A remarkable mix of architectural styles in its buildings and plazas: of which there are many. 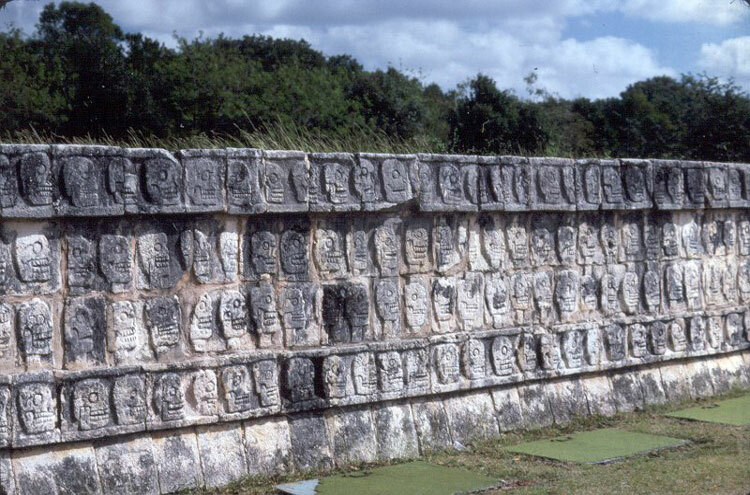 More than ten temples are found throughout the site, plus the unique Group of a Thousand Columns. 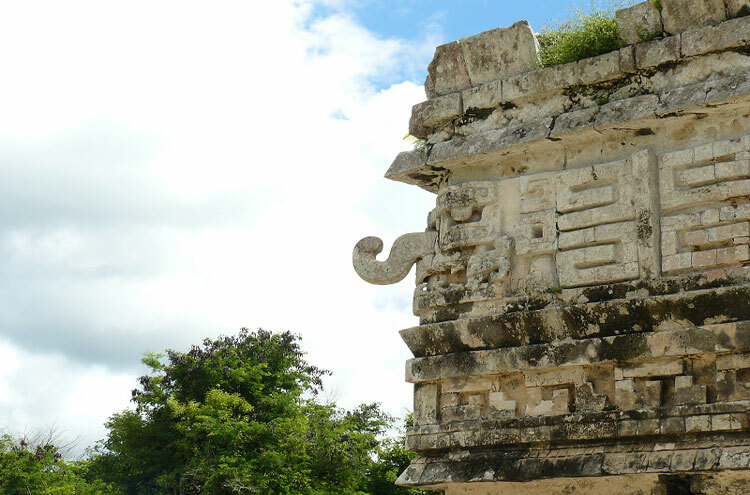 Chichen Itzas soaring buildings and sprawling, colonnaded streets offer a surprisingly intact vision of the ancient Maya. El Castilo, The Castle, was recently named one of the New Seven Wonders of the World. 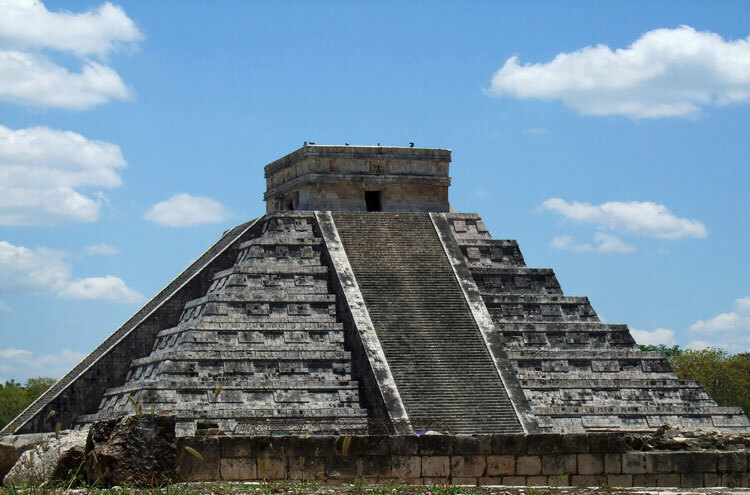 On the Spring Equinox, thousands of visitors gather to see the sites famous spectacle of light and shadow: on the Temple of Kukulcan, the feathered serpent-god can supposedly be seen crawling down the temple steps. 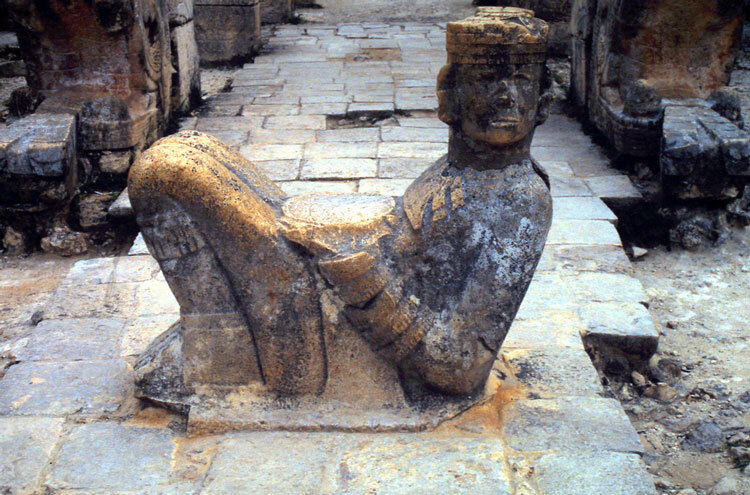 The ruins at Chichen Itza are the third most visited on the entire Yucatan Peninsula, with good reason. 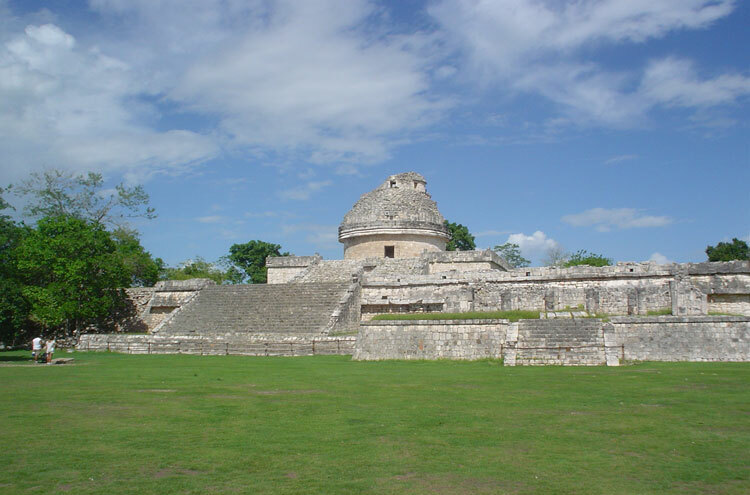 The buildings, arranged after the common Mayan fashion into groups (by type), shine a bright white in the strong sun, connected by criss-crossing plaster and stone sacbeob (roads); set upon a shared plinth. The Temple of Kukulcan rears imposingly at the head of one such platform, once awash with sacrificial blood. 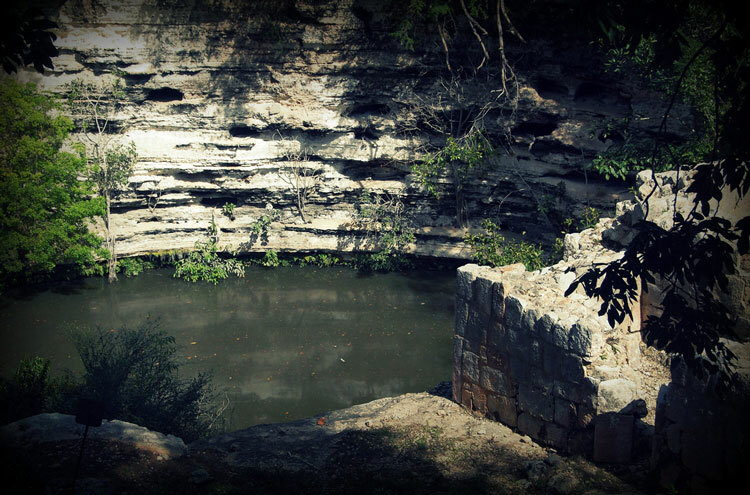 The enormous Sacred Cenote also saw sacrifice: gold, jewellery and art have been hauled from its depths. Sinisterly, at the Cenote Sagrado bodies too were dredged bearing wounds inflicted by sacrificial instruments. Savage religion pervades facade and stelae (sculpted/inscribed stone panels) alike. 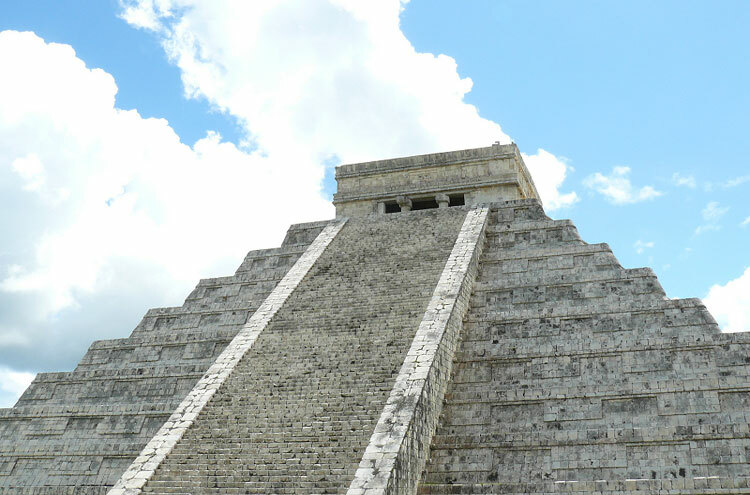 The combination of such artifacts and a variety of architectural styles make Chichen Itza fascinating, archaeologically. 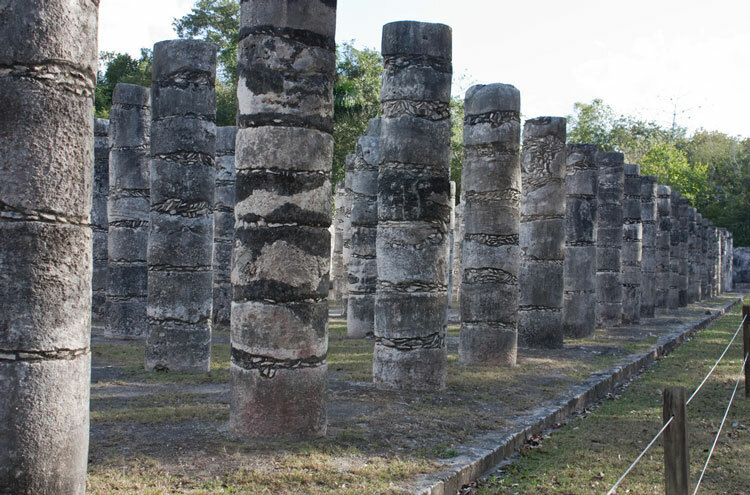 There are over ten temples across the site, and the remarkable Group of a Thousand Columns. The rituals and tradition that speak of the Maya as an advanced society are still freighted with resonance today. On the Spring Equinox, hundreds gather to witness the Feathered Serpent-God flow slowly down the Kukulcan temple steps in light and shadow, an astounding parallel to Stonehenge at Summer Solstice: light, filtered by stone. 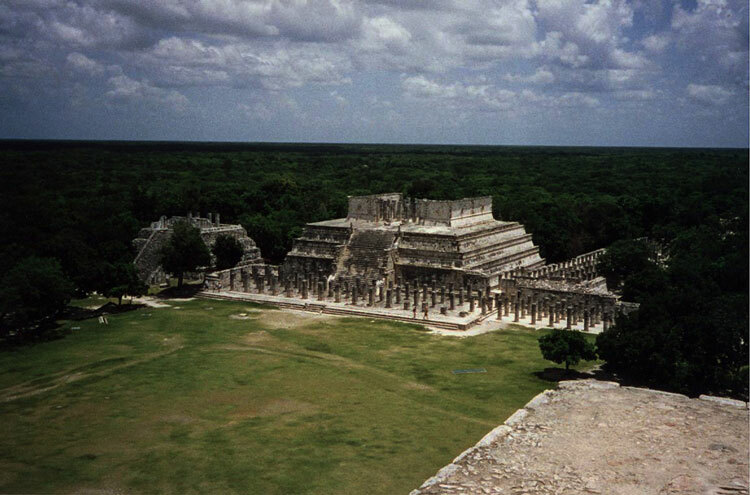 The temple (nicknamed El Castilo, The Castle) was reproduced and copied across the Mayan Empire. If manipulating the sun thus speaks of mathematics, the masonry itself speaks of engineering brilliance. Stonework remains resolute in thousands of unexpected and improbable structures, across thousands of years. It is much like Incan building, with a mesmeric tessellation. It lends the structures a sense of solidity and permanence that echoes the Pyramids of Giza. The feeling is reinforced by the density of buildings in the central core of the site. 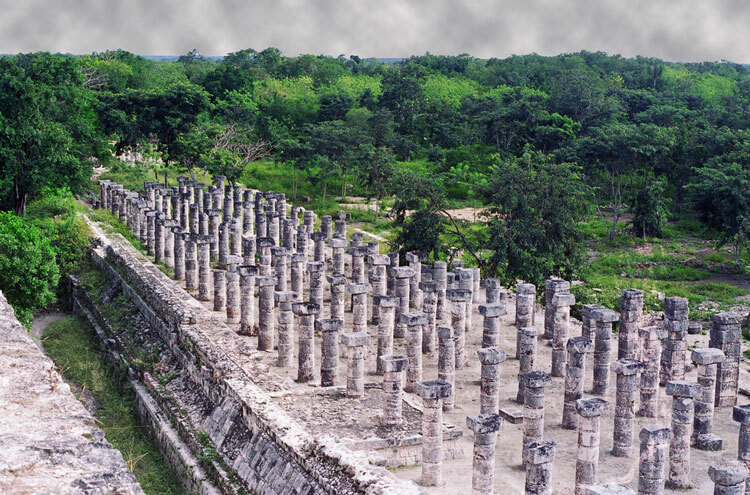 On the Great North Platform, El Castillo, the great ballcourt and the Temple of Warriors. The Ossario Group stages its eponymous pyramid, as well as the Temple of Xtoloc. In the Central Group: the Caracol (snail), Las Monjas and Akab Dzib. 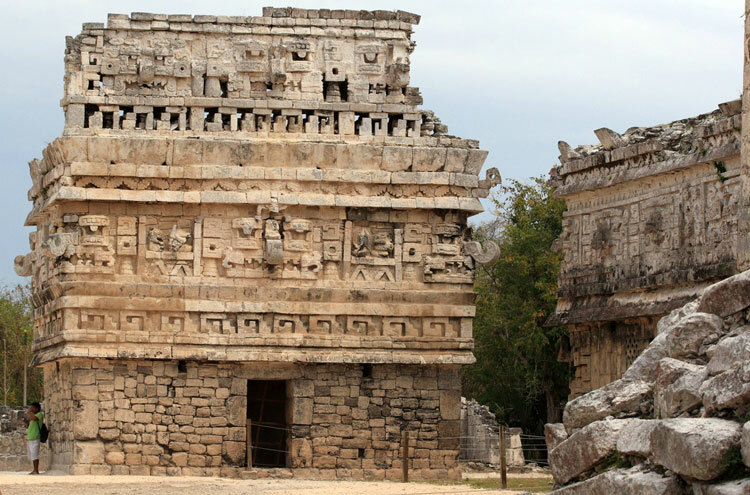 Chichen Itzas centre is, as with so many Mayan ruins, a matter of wandering and gawping, with the highest concentration of structures and marvels. 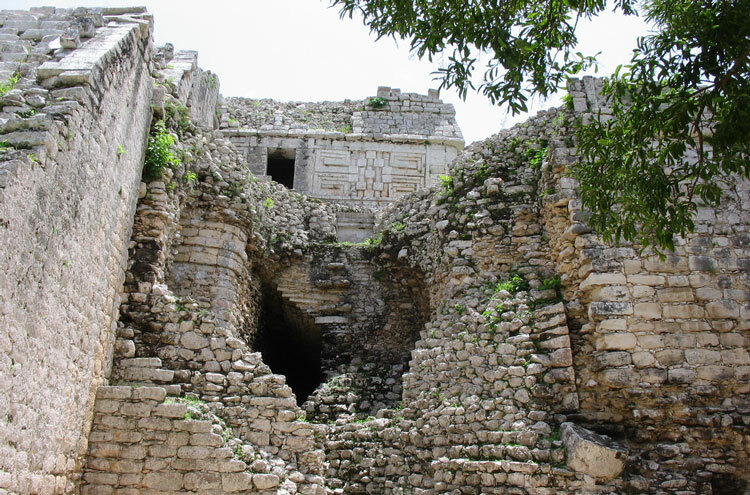 Further groups away from Chichen Itzas core lead to overgrown wilderness, and yet more smaller structures and sites. Turn south from the main site: a sacbe leads past the Grupo de la Fecha and Grupo Principal del Suroeste to Old Chichen. You only stay on the ancient road for part of the way, with marked paths deviating to protect certain ruins and take in hidden others. Rising out of the jungle here are the Phallic Temple, the Platform of the Great Turtle, the Temple of the Owls and the Temple of the Monkeys. Go back to the centre. North of Chichen Itza proper this is a T rather than circular route lead two sacbeob. The Sacred Cenote is a must; but the less explored Grupo del Noroeste offers a fantastic extension through jungle and overgrown-undergrowth on the second. Four miles west, the sacred Balankanche cave network, with pottery and artifacts unmoved since their abandonment. Tunnels both natural and manmade extend backwards behind what had been a false wall, discovered only recently. Walking in Mexico can be tough; through rainforest, in hot sun and intense humidity. So, come prepared.